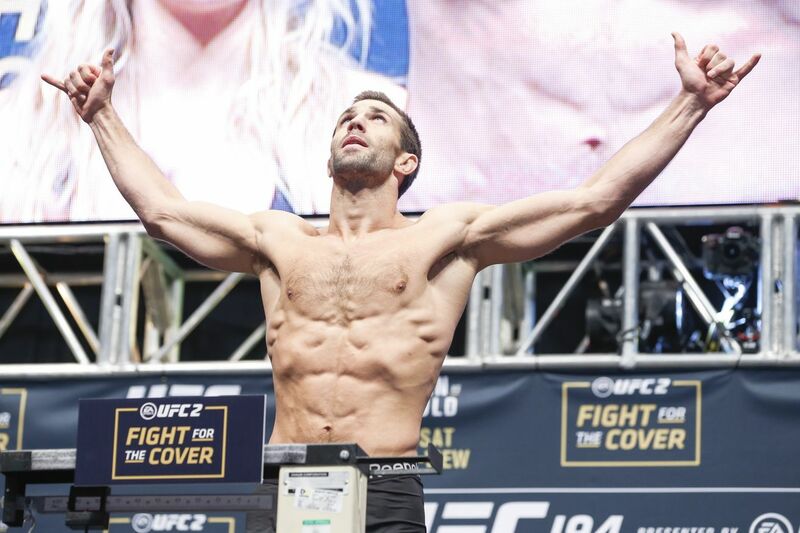 Former UFC and Strikeforce middleweight champion Luke Rockhold’s days at 185 pounds are no more. As for when and who he expects to welcome him into his new division, Rockhold admits the top of the rankings are already murky enough, but he doesn’t expect many challenges on his way to what he feels is an inevitable matchup with champion Jon Jones. “I was shooting for late March, but we’re looking like early April now,” Rockhold told Luke Thomas during an appearance on The MMA Hour. “It just depends on what opponents fall where they may. I know Jon really wanted another fight really quick, for some reason. So he got this Anthony Smith fight [at UFC 235], so we’ll see. Declaring the light heavyweight division as “there for the taking,” Rockhold could only laugh at what he perceives as an easy path to the title compared to middleweight. As for how he views the rest of the fighters in his new weight class, Rockhold didn’t mince words. One name Rockhold left out is three-time title challenger Alexander Gustafsson, who came up short against Jones in their title fight at UFC 232 last month. Thinking, Rockhold gave Gustafsson credit for being a game opponent, but admitted he was still hoping for a matchup against a man who could propel him closer to the top, rather than someone who just lost to the champ.